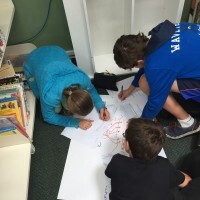 The other night as part of the last #edchatnz I made a comment that seemed to get a bit of reaction but for me it was heavily laced with what had happened in my classroom the two days previous. I have been contemplating this post ever since – so here goes. Stepping into my classroom this year I felt that no matter how I changed the room, created new wall displays or invented new programs a sense of ‘the way it used to be’ lingered in the minds of the students. 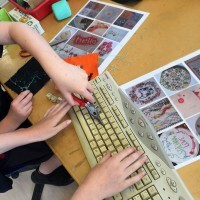 I attempted to shift projects to be more open ended, student initiated (particularly for Year 8s) and aimed to give students a wide range of materials and tools to use. Anyone who’s stepped into the room knows it’s not just sewing machines but laptops, desktops, 3d printers and a plethora of power tools that line the outside of the classroom. However, no matter how I tried I felt the legacy of kit set making and pillows thick on my heels. This week I asked my last few classes to give me feedback on the programs, my teaching and their learning experiences. Through out the year students have been using the Rose/Bud/Thorn method I came across via Lisa Palmieri’s (@Learn21Tech) 2min PD video – a structured way that to give constructive and specific feedback on design ideas. While I had asked for and received feedback throughout the year from students via reflections this was the first time doing it openly as a group. Knowing the students would be comfortable with this method I opened myself up and asked for their feedback. My heart sank as I saw their requests to make pillows but more than that (and what made my heart drop to the floor) was their requests to be to be told exactly what to do – they wanted the class to be completely locked down, teacher led and driven. They wanted to make things but wanted to be told exactly what to make and how, they didn’t want to take agency and ownership over their learning. 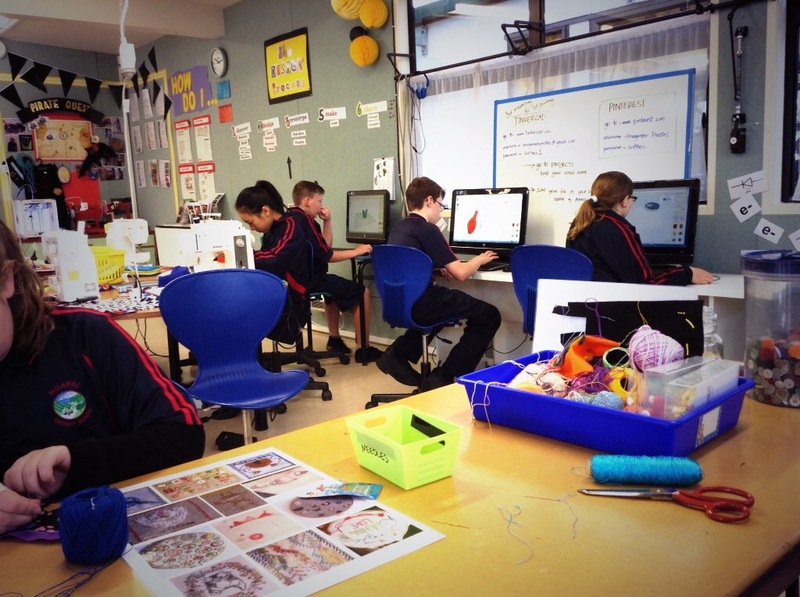 They didn’t like the essential ingredient to classroom ‘makerness’ – messy learning with lots of self initiated experimenting. I was hoping that the student driven programs would help drive a curiosity that could push through the awkward failing forward process; that it could create an itch students needed to scratch. I was gutted – had I failed to support them the way I thought I had? I decided to do the exercise again with my next class AND to film the discussion afterwards. I was curious to investigate this further and it had created an itch I needed to scratch! I set it out the same way and stood back while students moved between sheets and discussed their feedback before jotting it down on the A3 sheets (sorry no post-its were used as the students revolted as our program had been based around being sustainable! Brilliant). I’m so glad I did it again and gained a lot of valuable feedback to reflect on for next year. Things like how we used the physical space and what we made were high the list but what was inherent in their feedback was while they enjoyed the freedom to experiment it was so different to what they expected. 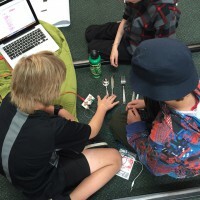 What it reinforced for me was that facilitating a maker classroom is hard, not just because of leftover legacies but existing mindsets and expectations. Not knowing the answers can be frustrating and confusing. When students come into the classroom from a mindset of always being right first time, not needing to try or put any effort in it I can see it could be quite confronting and takes a dramatic shift for it to feel ok to tinker your way through. It is my responsibility (and challenge) to not settle for the learning experience to be driven by expected norms and to ensure I support those students who struggle with not being given the answers and to continue to challenge existing mindsets. To move forward fearlessly.